This tutorial explains how to use Embird (native Windows application) with Wine on Apple Mac computer. Before installing Embird, it is necessary to install XQuartz application and then to install Wine application. Both of these applications are available free of charge. 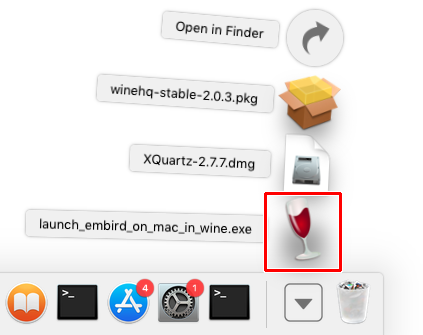 Note: Please note, that applications XQuartz and Wine for Apple Mac are not developed nor supported by Embird team. 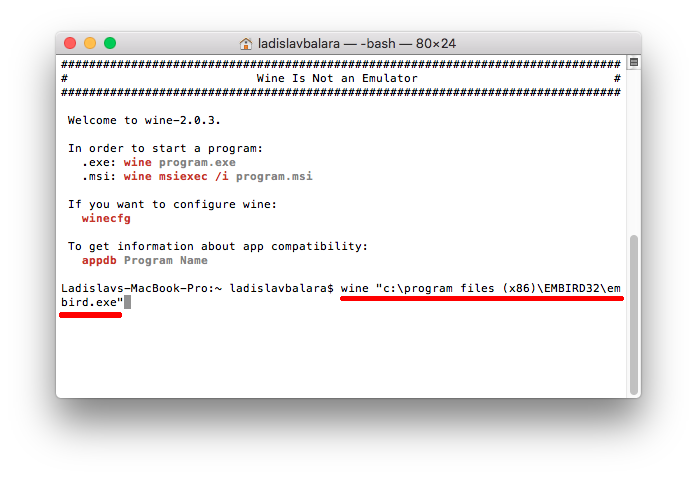 Also, because Embird is natively Windows application, it is not quaranteed that all portions of program run smoothly in Wine on Apple Mac. 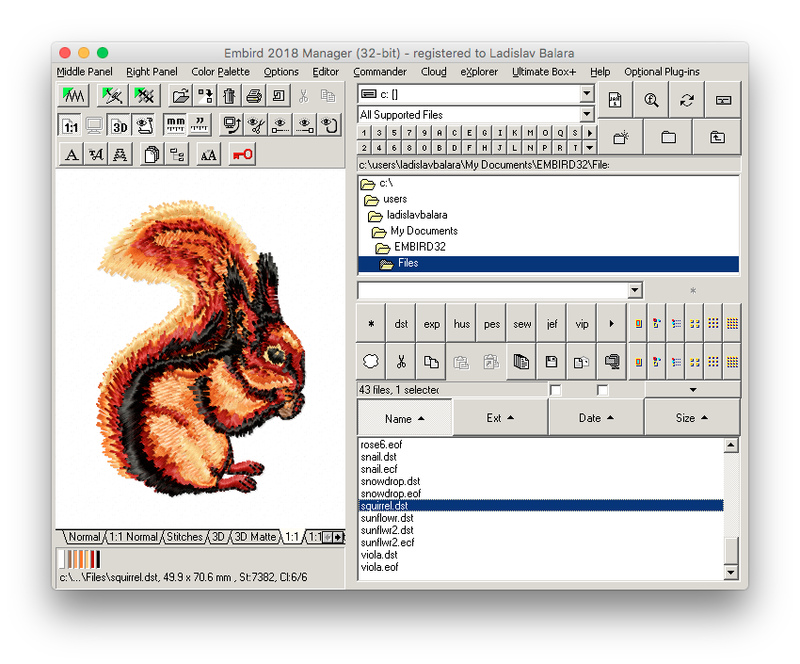 3 - Download installation file of Embird (32-bit) version. Then run this file by selecting it in "Downloads" (Picture No. 1). 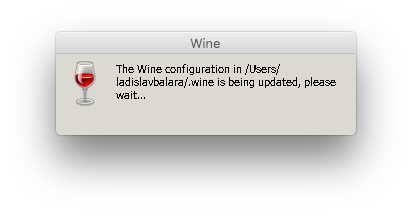 Note: Do not download 64-bit version of Embird, it seems that this one does not work with current version of Wine. 4 - Wait until "Wine" finishes its initial setting (Picture No. 2). 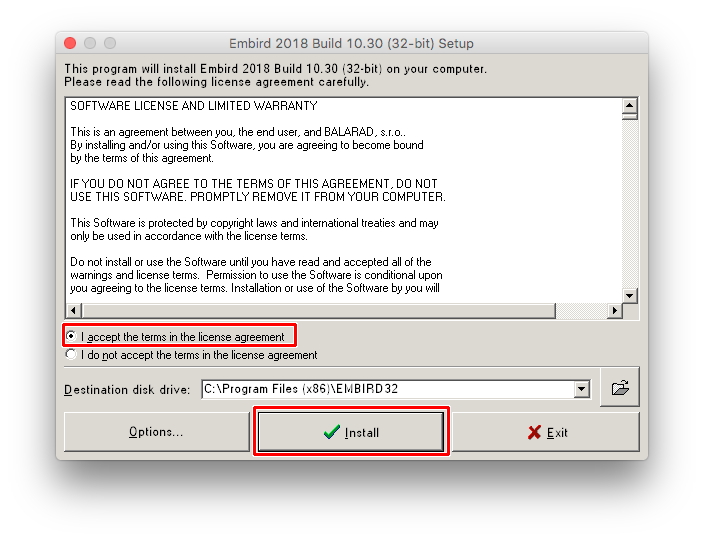 5 - Click "Setup" button in the installer of Embird, which appears on the screen (Picture No. 3). 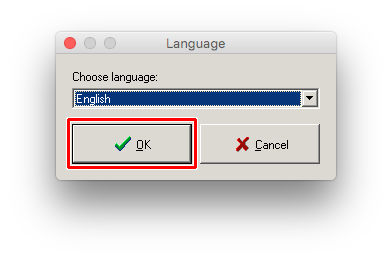 6 - Choose language and select "OK" to continue (Picture No. 4). 7 - Read the license agreement and then select option "I accept the terms in the license agreement" and click "Install" button to continue (Picture No. 5). 8 - Wait until the installation process is finished (Picture No. 6). Tip: Use Clipboard to transfer this command to Wine. Select the text above, then depress cmd and C simultaneously to copy it to Clipboard. Finally, click Wine and depress cmd and V keys simultaneously to paste it to Wine.